Some text requires more details this is an out of context detail file is not inteded to be read. The transportation corridor takes the route of the Global Energy Network Institute world power grid project circa 2025. New safe and very fast trains can replace air travel for all but essentials. The energy saving will be huge and pollution reduction the same. It is proposed that these trains have a gauge of 3 meters, a gimbal suspension system, and reduce clearance between the cars and the tracks to six inches. With this lower center of gravity and adjustable suspension, speeds could then be safely increased to 200 miles an hour. The indented space between the tracks could be filled with concrete sections that would be flush with the heights of the tracks, creating minimum aerodynamic resistance beneath the train. Inter-state and inter-city highways could have a cable buried up the center of each traffic lane could control the steering and speed of each vehicle. Steering would work on a "homing" device, and vehicle speed could be controlled by the rate of current in the cable. Special metering telemetry posts would be located every few hundred yards along the highway, to monitor for changes in weather conditions or traffic mishaps, and corrective action could be taken at central control. Large planes of conventional design have fuselages which exert drag but have no lift capacity. Instead a flying wing. The whole body of the aircraft would be a wing structure, so that its entire bottom surface would provide lift. This aircraft has a gliding ratio of eleven to one, so that it has a range which is eleven times the distance of its altitude. That would give an onboard machine shop time to fabricate any part for replacement BEFORE the aircraft came down! The reason other flying wing designs were unstable was that their wing flaps were not wide enough in proportion to the breadth of the wing, but Technocracy’s design did have the correct proportions for flight stability. When The Energy Survey of North America looked at the performance of cities, the results were astounding. It was estimated that existing buildings were so wasteful of energy, that the entire cost of tearing them down and reconstructing them all too adequate efficiency standards, would be recovered in just twenty years of operations. Instead of bungalows and suburbs that waste materials, energy, and land, we propose eco-density mega-structures with optimum densities and economies of scale for all services. Whenever feasible, these living units would be located along the waterways of the Continental Hydrology. That way the cities could be serviced in terms of both ingress of resources and egress of manufactured products on the waterways. Leisure and educational travel would also be facilitated by the Continental Hydrology, so hospitality accommodations would occupy a proportion of all these new cities, just as they do at present. The mega-structure units were designed to be built of concrete, forty stories high, with facilities centralized whenever that arrangement would enhance efficiencies. Individual apartments would be enclosed by movable curtain walls of "foam concrete", so that plans could include everything from single-occupant to extended-family arrangements. Cafeterias, educational environments, recreational areas, and manufacturing, shipment and storage facilities, would all be made available as the particular population at that site required them. Food would be grown adjacent to the Urbanates organically produced and can picked when ripe due to not having to transport it across our Continent currently truck driving is the occupation that employees more men that any other, yeah surprising but true it is also responsible for 1/5th of the fossil fuel consumption such designs for living make all other attempts to reduce oil needs and reduction of green house gasses look silly by comparison. Come on people stop fooling around and get with the energy labeling program and promotion of Technocracy’s Technological Continental Social Design which can END our problems not just mitigate them. To begin with each country could get one Urbanate close to where the need for housing is the greatest? With that in mind these are likely places to put very large Urbanates. Mexico City has a great need for housing a large Urbanate could house everyone now in that city not where the city is but close by. Same for New York there are some 20 million in need of housing in the area Detroit is also there a large Urbanate close by could house millions. Our need for iron will be great so Canada's could be at Peace River this would be for northern workers. There is iron deposited there, and this area also can produce the finest wheat, it could also serve as a hub for Alaskan oil. The word consume needs some defining and this will be tricky so we will begin with some examples. Ie: it does not mean that everyone can get their own yacht and have their own place to moor it although we all would likely have enough energy credits to get one provided there was one available. In a usufruct lifestyle ownership of such things does not exist there will be yachts and anyone can use them provided that they are returned in undamaged condition, provided the person is qualified to captain one, and provided that they had a good record doing so. This being the case the person's personal account would be debited on a time / distance basis. This would also apply to automobiles et cetera things that it is not physically practical for each of some 650 million people to have exclusive use of (ownership). Bear in mind that not owning such things relieves us of having to maintain and repair them we simply locate what we want to use via the www and go and use it then leave it wherever when we are finished. Things like clothing, phones, razors et cetera are considered consumables and would be kept for exclusive personal use when we want or need a different model or style we would just put the old one in the trash like we do now and no need to sort garbage robots will l do that type of thing. It is wrong, incorrect, and silly to thing that doing everyday things in our Technate would be essentially different than it was before. Many people will live out their lives the same way as they always have but they will be unafraid, a lot happier, and easier to be with. So this is what is meant by consume, consumable. It: it does not mean that everyone can get their own yacht and have their own place to moor it although we all would likely have enough energy credits to get one provided there was one available. In a case like this perhaps the public health sequence could receive notice that this citizen is involved with something that may prove to be hazardous to their health and an email with suggested sites be sent to this person. The distribution sequence could also receive notice that this citizen is hoarding and an email with suggested sites would be sent to him. His identity and email address could also be posted on the "I horde things" website on the cigars page. Then any citizen who cannot find cigars can pester the hoarder for one. Hording would diminish very quickly due to peer pressure which is the only form of discipline our Technate's functional administration could endorse. Control of things not people would be the mandate for ALL the functional personal in a Technate. The Continental Constabulary and the military emergency services section would have some variation of the mandate naturally. So can most people put up with this type of a functional administration? Yeah we think so. It is the smooth uninterrupted lines of flow in our industrial sequences that will ensure this person's having a cigar when he wants one not his ability to accumulate them in his larder. This example demonstrates a typical price system derived scarcity mentality one completely out of tune with a situation of distributed abundance made possible via energy accounting. Note: being self sufficient is the North American mind set and this need not be altered our Continent is VAST and has next to nil population densities on most of it so anyone who is a frontiersman, live off the land and be one with it, pioneer type of person will be able to move to a rural area and lead their own lives. Getting seed and materials to build a shelter can be had by barter with neighbors or gotten with their energy acquisition cards thereby removing the soul and body destroying hardships faced by our pioneering ancestors our life can be just as easy or as hard as we desire. So come on people get with the energy labeling program, investigate Technocracy's Continental Social Design for North America there is no other way to preserve our way of life. NONE. appearance of this article was good news indeed note that this is a close paraphrasing of Technocracy Study Course content. We expect this so called set of theories to quickly replace the centuries old thinking that all educational institutes have conditioned their graduates to, as it is quite correct. SYRACUSE, N.Y. -- The financial crisis and subsequent global recession have led to much soul-searching among economists, the vast majority of who never saw it coming. But were their assumptions and models wrong only because of minor errors or because today's dominant economic thinking violates the laws of physics? A small but growing group of academics believe the latter is true, and they are out to prove it. These thinkers say that the neoclassical mantra of constant economic growth is ignoring the world's diminishing supply of energy at humanity's peril, failing to take account of the principle of net energy return on investment. They hope that a set of theories they call "biophysical economics" will improve upon neoclassical theory, or even replace it altogether. .....Last week, about 50 scholars in economics, ecology, engineering and other fields met at the State University of New York's College of Environmental Science and Forestry for their second annual conference on biophysical economics. The new field shares features with ecological economics, a much more established discipline with conferences boasting hundreds of attendees, but the relatively smaller number of practitioners of biophysical economics believe theirs is a much more fundamental and truer form of economic reasoning. "Real economics is the study of how people transform nature to meet their needs," said.....organizer of both gatherings in Syracuse. "Neoclassical economics is inconsistent with the laws of thermodynamics." .....many biophysical economic thinkers are trained in ecology and evolutionary biology, fields that do well at breaking down the natural world into a few fundamental laws and rules, just like physicists do. Though not all proponents of the new energy-centric academic study have been formally trained in economics, scholars coming in from other fields, especially ecology, say their skills allow them to see the global economy in a way that mainstream economists ignore. Further comment: It is noteworthy that the scientific community is rife with new economic theories people are gaining fame and respect from their peers for these 'new' concepts they are coming up with they just make so much sense and as the price system becomes more and more inoperable and the fear factor rises it has become plain in thinking circles that new ways of operating our social mechanism must be found. But are they new? Hardly, those who have become intimate with the work of Technocracy Inc. throughout their lives see that these 'new' economic theories have been cribbed from the Study Course and given new current buzz word derived names and authorship claimed. Credit for background work upon which these 'new' economic theories are derived when it is given carefully excludes our Organizations name which is fine. We are very pleased that our work is quickly becoming the basis for change that it is cloaked is not relevant. What Technocracy discovered was that during the geological story of the continent, particularly in the aftermath of the glaciation of the Pleistocene period, water run-off cut glacial troughs between most of the drainage basins of the major rivers. After most of the ice was gone and the watersheds regained their previous patterns, the glacial troughs remained. Technocracy conceived of a plan to locate dams at strategic junctures, re-flood the old glacial troughs, and re-link all the major rivers into an integrated inland waterway for the entire continent. Water transport would be possible from the Gulf of Mexico to the Mackenzie delta, from St. John's, Newfoundland to Seattle, Washington. Continental Hydrology according to the Energy Survey of North America, water transport of bulk commodities could be accomplished for 1/10th the energy cost of rail or road modes. So besides harnessing most of the major hydro-electric sites on the Continent, the cost in terms of energy of transportation could be dramatically reduced. Technocracy designed "marine trains" to ply these waterways, with diesel-electric tractor units for power, and electrical couplings to the bulk-carrier units. To negotiate the differences in elevation at the dam sites, Technocracy designed hydraulic lift locks that could raise upwards to 400 feet in a few minutes. To satisfy the widespread demand for electrical power, Technocracy designed a 1/2-million volt, UNDERGROUND DC power line. Technocracy’s research indicated that for these specs, power could be transmitted over distances of 5,000 miles with only a 10% power loss, whereas AC lines lost 10% over only 500 miles. Technocracy proposed a Continental Power Grid that would link all the major sources of electric power, and shift electricity across time zones so that local areas would not have to over-install to meet peak-load demands. Instead power would be shifted from areas of light use to those of heavy use, and stepped down to usable voltages and AC for local distribution. 2009 Energy production per capita. NB: An understanding of this is basic to an understanding of the design. Lord Kelvin, the British physicist, was recorded as saying: "If you can measure whereof you speak, it may be said that you know something of your subject." Technocracy postulate is • The phenomena involved in the functional operation of a social mechanism are measurable. Howard Scott the founder of Technocracy Inc. Est. 1933 of WA State. used this quote on occasion, as he presented his analysis of North American society in terms of energy conversion per capita. Energy conversion per capita is a rough measure of the industrial development of a society. It is a composite number made up of many energy inputs which are different for each country. (The various inputs in various measuring units are recalculated to a single measure called the 'equivalent'. Scott chose the kilogram calorie for his 'equivalent'). It is not only an approximate gauge of development of a given 'economy'. It is also useful for comparisons between countries. Howard Scott calculated the asymptotic maximum of 200,000 Kilogram calories per capita per day or 837,360 joules as the full expression of an economy of abundance...one able to produce a sufficiency of goods and services for every citizen. He used kilogram calories as the measuring unit. The calorie is the common unit for measuring nutritional intake, which we will assume is around 2,000 calories per adult per day. It is easier then, using this unit, for many people to apprehend the magnitude and meaning of the larger measure. Definitions: giga means billion. A billion is one thousand million. A million is one thousand thousands. But there have been other units of measurement developed. The United Nations initially used tons of coal per year equivalent as the unit of choice, with the quality of the coal carefully defined. (Anthracite, by source). 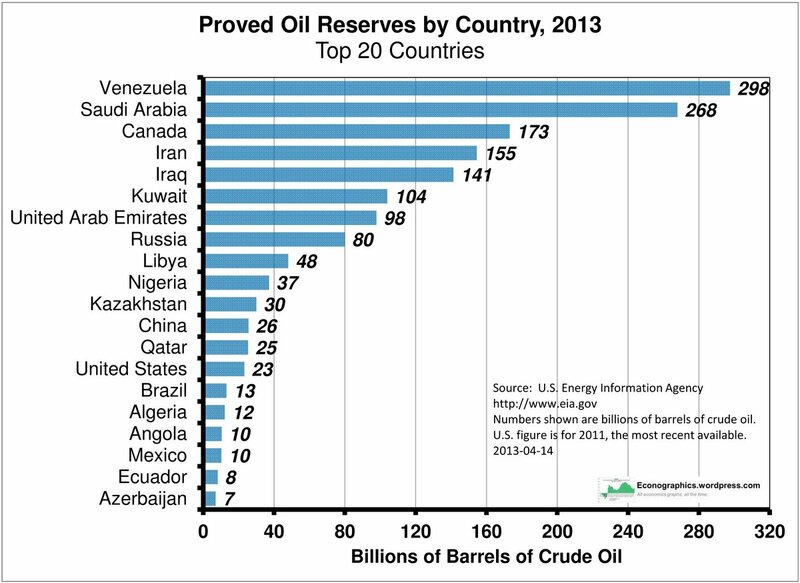 More recently the U.N. has converted to barrels of oil equivalent per year. Other units in use are kilograms of oil equivalent per annum; kilowatt hours per year; gigajoules per year. (All measures of energy are carefully defined and are convertible, each to the others.) There is an advantage, We suggest, in preferring gigajoules per year as the energy conversion per capita. According to data quoted in Wikipedia here in Canada we used 348.7 gigajoules in 2003. That is about 1 gigajoules per day, allowing for variations in such data with time and other variables. There is a further advantage in this measure. One gigajoule = 238,845 Kilogram calories, which relates roughly to Scott's estimate of 200,000 Kilogram calories per capita per day as the measure for a matured high energy society that could operate using Technocracy’s Continental Social Design. Surprise, surprise! Canada tops the world in energy conversion per capita, exceeding now the U.S.A. (Very small countries such as oil based Kuwait are not counted in this tally). Remember this is a composite measure and is an approximate indicator. Canada is not a fully balanced economy. It is export oriented, supplying commodities especially to the U.S.A. For example two large hydro developments are devoted entirely to producing aluminum: Arvida and Kitimat. Another huge energy outlay is in the oil sands of Alberta. But other countries have their specifics too. The comparisons are reasonable. It is also to be noted that European countries are just somewhat over half the North American rate of energy conversion per capita, a comparison which may also be subject to some interpretation. Conclusion: North America, uniquely, is ready for adoption of Technocracy’s Continental Social Design which will make energy accounting able to function properly in a physical sense. Stop worrying about running out of oil our Technate has all we could EVER USE. This shows the ending of the era of scarcity here in North America. 90 years has passed during which we have lived in a situation of contrived scarcity and now we WILL HAVE abundance. At this time only the Total Conscription Program can give it to each and everyone of us. This chart shows the required vertical alignment of the functional sequences of our Technate. It is not the fabrication of any individual or group it is the organizational chart of the government of the U.S. of A. with the financial parts removed and new names for the component parts. So will it work out for us to arrange the sequences thusly? Yes, just as it has worked out for the most successful nation on earth. The probability begins to approach certainty that by 2012 there may only be two choices for the protection of our Continent one of which can also offer the establishment of a sustainable high standard of living here. The first would be martial law and the second would be martial law the first choice martial law, the default one, would only need to be invoked because we did not care enough to ask for the second choice in time. Confusing? Let us begin again then. The probability begins to approach certainty that as it gets close to 2012 a typical form of martial law will be declared. One that will maintain the price system and freeze things in the status quo removing, perhaps forever, our ability to adopt any significant social change it is vital that people understand this aspect of the default form of martial law. Borders will be closed and the continents Nation States will become isolated. Some foreign nationals will likely find themselves being "stepped upon." Anyone who acts up in any violent way, if they are not shot, will likely find themselves in one of the many existing prison camps until such time as they can be deported. Those who are old enough to recall military occupations will feel as though they are in some nightmarish time warp. Curfews, rationing, and restrictions on travel and a prohibition on public gatherings would likely come into effect. Black-markets will "rear their ugly heads" and everything that people fear regarding the typical form of martial law will come to be. And the possibility of the fictional “1984” way of life becoming real then will exist, horror of horrors. Better wake up people! Or, the Total Conscription Program (a different completely NEW form of martial law.) could come into effect at the request of the citizenry. It would feature all the expediencies to facilitate public order and safety of the typical martial law and any violent behavior would be treated the same way but there the similarity ends. It is not so preposterous that people would request a Total Conscription form of martial law as one would at first think and here is why. The paying of rents, mortgage payments, any and all loan or credit card payments, all vehicle payments, any unpaid taxes, and the acquisition of any new motorized vehicles would be suspended. National inter-continental borders would not only remain open typical travel restrictions would even be relaxed. People could be free to go home and at no personal cost to be with and protect their homes and loved ones during the turbulent times. A NEW border would be established AND CLOSED; one that envelopes our entire Continent. Everyone within would be drafted and subject without recourse to properly delivered military orders. BTW: most people would not be getting any orders. There need be no need of rationing or hoarding. Things could go along much the same as usual BUT without the benefit of protection from any constitutions, laws, bylaws, regulations, contracts et cetera as a form of martial law would be in force. People with needed abilities may have jobs assigned to them and be moved. A department would be set up to ASAP do an Energy Survey of our entire Continent the total amount of energy that can be converted into use forms in kilogram calories will be determined. Our military will see to it that the staff et cetera needed to do the job is promptly supplied. A department would be set up to gather and record the facts and figures as to what the energy requirements in kilogram calories for operating of the entire physical plant (infrastructure) of our Continent for a two year period would be. Our military will see to it that the staff et cetera needed to do the job is promptly supplied. A department would be set up to gather and record the energy cost of all products produced on a per item basis and all items produced thereafter will be labeled with the per item energy cost in kilogram calories. All producers of anything whatsoever would be ordered to get this done ASAP. This would also be done with all services IE: rapid transit systems on a per person served basis. Our military will see to it that the staff et cetera needed to do the job is quickly supplied. A department would be set up to design and produce Energy Acquisition Cards, set up a personal energy account for all citizens and see to it that all citizens of our Continent get one no exceptions. Our military will see to it that the staff et cetera needed to do the job is promptly supplied. These then are the major components of an energy survey and since the Total Conscription Program will be in effect it can and will proceed with haste and no interference or deliberate lagging behind schedules will be tolerated. Our military will see to it. Upon completion of the energy survey the cost of operating our Continent for a two year period in kilogram calories will be deducted FROM the total number of kilogram calories our Continent can convert to use forms for the same period. The result will be divided by the number of Energy Acquisition Cards issued and that amount will be credited to everyone’s account. This would conclude the energy survey. By the time the energy survey is complete and we all have an idea of what level of consumption we have coming to us all it is hoped that the citizens guided by the TTTTT project will have done their part and more for the transition to a Technocratic Governance of function. As to what is revealed in the Requirements document those directives are for the military, the engineers, technologists, technicians, and trades personal that have been operating the physical plant and infrastructure of this Continent all along and the average person need not concern themselves with such things beyond knowing what is being done and staying out of the way. Bear in mind that until energy accounting is happening smoothly and suitable housing has been provided for the majority of people that want it that anyone or especially any group that deliberately gets in the way will likely find themselves doing time in prison for the duration of the total conscription period as no coordinated interference no matter how well intentioned or popular will be tolerated, period. In one lifetime the U.S. of A. and Canada have both experienced a demographic change that would have been inconceivable only a century ago. Due to the diversity here a consensus for a social change of the magnitude required for this Continent to flourish is in no uncertain terms impossible. The deep disturbing fear of societal doom is widespread and deepening no one will deny this observation. An entirely new method of social operation must be attempted at least. Albeit unspoken it is the desire of any culture that those who move in will adopt their ways rather than by force or cohesion oblige those who were there first to adopt the ways of the newcomers this is reality for all but the few so-called enlightened ones who forsaking their fellows dwell on some “higher plane such people are not taken into account here.” So unrestricted immigration such as these two nations have experienced can only result in conflict this is reality. A conflict as to which will give up their way of life and adopt the others. Those who deny this live in some other dimension and therefore we need not take them into account it is only the common type of human being that we are bound to consider here. If we are to avoid the same hideous way of life found, for the most part, on all the other Continents with such things as "ethnic cleansing," and killing that stems from different cultural concepts if we are to survive and flourish here something must be done, and now. The establishment of the North American Technate provides a solution; get this next bit, and ponder it for a time. The stability of a high energy civilization and achievement of an unprecedented high standard of living requires a mono-culture. (wait don't pick up your sword) NOTE There is no need to choose which culture will prevail in this. The solution is quite simple everyone on the continent will forfeit their culture not just immigrants and not just those that were already here, everyone gives up their old way of living at the same time. For those who cannot or will not the earth is a big place and they would be free to move to some other continent and carry on their olden ways of life. Can you see the automatic establishment of lasting peace that this aspect of the Total Conscription Program would, in a few decades, provide? We wonder? PS: Modern people in a modern age. In case you have not noticed those who come here from the ancient cultures and have children see their children instinctively give up the culture of their parents so nothing need be forced upon anyone. Demand the total conscription program; survive 2012 and advance. Albeit unspoken it is the desire of any culture that those who move in will adopt their ways rather than by force or cohesion oblige those who were there first to adopt the ways of the newcomers this is reality for all but the few so-called enlightened ones who forsaking their fellows dwell on some “higher plane such people are not taken into account here.” So unrestricted immigration such as these two nations have experienced can only result in conflict this is reality. A conflict as to which will give up their way of life and adopt the others. Those who deny this live in some other dimension and therefore we need not take them into account it is the only the common type of human being that we are bound to consider here. The stability of a high energy living civilization and achievement of an unprecedented high standard of living requires a mono-culture. (wait don't pick up your sword) NOTE There is no need to choose which culture will prevail in this. The solution is quite simple everyone on the continent will forfeit their culture not just immigrants and not just those that were already here, everyone gives up their old way of living at the same time. For those who cannot or will not the earth is a big place and they would be free to move to some other continent and carry on their olden ways of life. This article was written by a person many considered Technocracys finest author you will see why. So do you live in the world of today or Ludds world? “Because of the lack of understanding regarding the importance of science and technology in keeping us alive, many people fear and mistrust it. The apologists for the status quo blame our ills on the use of too much technology, and people tend to believe what they are told, rather than evaluate it for themselves. Serious academics, and self-styled intellectuals, foster this romantic ideal -- a society with less technology. Some see disaster in every new technology. It has even been stated that the laws of physics were constructed to maintain white male dominance. More relate only to its more horrifying manifestations -- environmental horrors, weapons of mass destruction, and other examples of miss-applied technology. Education down-plays the role of science and technology in our history, like: electricity, radio, television, jet travel, antibiotics, moon landings, eradication of disease, computers, communication, and many of the technological innovations, which are enriching our lives, and even keeping us alive. Many only see the misuse to which some of these discoveries have been put, again ignoring the fact that this misuse of technology has been for individual or corporate gain, even though the discoverers have no control over their eventual use, good or bad. Science is, in a dynamic sense, essentially a method of prediction. It has been defined as being the method of the determination of the most probable. It is the most accurate method available to us. It is based upon facts; when more facts are known, more accurate predictions can be made. A fact is a close agreement of a series of observations of the same phenomenon. They must be verifiable, in other words, able to be repeated. As can be seen from the foregoing, science, and its handmaiden, technology, is just a method -- the best known -- for acquiring knowledge for the benefit of humankind. How this knowledge is applied is up to us. At present, it is used largely for profit of individual or corporate gain. The end result is much of what we see today, and of which so many people decry. It is used for short-term, monetary expediency, with little thought to the long-term survival of the human and other species on this planet. If this knowledge was to be used on a functional basis, applying these discoveries and innovations for the benefit of humankind, and life in general, much different results would be obtained. We could conserve our resources, recycle and re-use them, where practical. We could use the discoveries of science to improve our educational facilities, health facilities, and knowledge. We could repair the damage to our environment, cut back on soil erosion, and build up the water table. Transportation could be improved; we could cut back on the hideous waste and pollution caused by automobiles. This would require a radical change in housing people, and providing services. So much could be accomplished by the proper application of the scientific method, using science and technology for the benefit of humankind, not for its detriment. Why do scientists not voice more concern? Why do scientists, who are forever complaining about scientific illiteracy, not do more to condemn this foolish short-sightedness? Is it fear of being labeled intolerant, or is it fear of placing their financial security in jeopardy? Are they afraid that someone, or some group, with a vested interest in the status quo, will discontinue paying them a salary? The public needs to understand that we live in a finite world, governed by natural laws. These cannot be circumvented, and we try to do so at our peril. We can understand that we can use these natural laws, and that we can apply them for the benefit of humanity. Nobody claims it will be easy. A new scientific discovery, or hasty application thereof, may create a new problem? Scientists understand the problems, and it is to scientists, and those trained in the scientific method, to which we must turn, to solve these problems. Come on people! Let's give those of the science community the opportunity to be something other than lackies for businessmen they will not let us down. The use of the word all is no doubt offensive to some people. None the less it IS the correct word, and here is why. For North America the age of abundance is here (has been for 90 years) all social theory taught or self learned is predicated upon values of some kind or another value is a function of scarcity surely there will be no argument about that? Thus these social theories are NOT applicable to the current age of abundance. Those who have achieved status as people in the know and are sought after for help with the myriad of societal problems encountered here are unable to admit even when faced by the unshakable findings of the Technical Alliance as described by Technocracy Inc. Est. 1933 of WA State. Admittedly starting the sociological part of ones education all over again at an advanced age is daunting and for many simply NOT possible, so what? As to those who will not even attempt it they should just shut up or go on a long holiday as their outdated thinking is causing great harm to their fellow man as long as they persist in holding themselves up as problem solvers. If they do so they may come to regret it for it PROLONGS THE SUFFERING CAUSED BY POVERTY AND KILLS PEOPLE so there is no forgiving them for this failure. Most likely, without exception, all serious members of Technocracy Inc. Est. 1933 of WA State had to face the same bugbear of re-learning for the modern era. We did it so others can do it also and in jig time due to the founders leaving the Technocracy Study Course for just that purpose to update the citizens thinking. So get with it! Download the unabridged copy and join a PROPERLY RUN Technocracy forum where you can learn with others. Now that you know this will you save your fellow man rather than protect your own status as a social guru. We wonder if you can? The Technocracy Study Course e-book. Being as there are getting to be more and more different versions available on the www some advice is warranted here. This is NOT meant to point to the ONLY true version of the founders original text and where it can be found on the www. FYI: only the small soft covered version of the gray book is the original one and they are few and far between. One was destroyed during scanning as it had to be taken apart this I know as I was in charge of the team that scanned it and placed it onto the www in html format. We did not include some bibliographical material as some of the books referred to therein were no longer available. If still has some rather minor scan errors in the text here and there (which will be corrected sooner of later) but nothing was added to it or modified by our team we were determined to keep safe forever the founders original study course by putting it onto the internet, and we did it. http://www.vcn.bc.ca/~monad1 This is the FIRST EVER electronic copy of the authentic Technocracy Study Course to be available via the www. Part of being a good leader is having more information than ones subordinates. It is quite acceptable for the average citizen who just wants to know what is going on during the transition to read a synoptic (summary) of the study course, but officers in the engineering corps of our military, the key people who are part of the NAU programs, and key people in the grassroots social change groups should go through the ENTIRE study course and take part in a properly run Technocracy forum learning with company is nice.See the TTTTT contact us file. For historical purposes here is the history of the study course. As to revisions of the printed book any that were done prior to the death of Howard Scott in 1970 would still be un-perverted after that well… ..
Electronic versions are already too numerous to mention here. The TTTTT project has one a synoptic taken from the last two lessons of the gray book it is included for a refresher to those whose study of the design features was long ago. These two documents are arguably the two greatest works of science in all of human history. On the left the periodic table of the elements this is science applied to the physical realm. On the right the Technocracy Study Course this is science applied to the social realm. All human science and its manifestation as technology began with the Periodic Table of the Elements and has extended the human life span from 35 years to 70 years. Without proper control the probability that the effect of technology will become reversed begins to approach certainty. The methodology for control and management of technology is depicted within the covers of Technocracy Study Course making the changes specified can assure that human progress will continue. 24 months and counting people. Wake up now! it is NOT too late. A prevailing cause of poor load factors is the calendar. With our present calendar practically everybody works on the same days, and is off on the same days. This introduces traffic jams and small periods of peak loads on our transportation system, and on our places of recreation, as well as on the industrial equipment. In order to improve the load factor on traffic and on the amusement places, it is necessary for these peaks to be eliminated so that the traffic on one day is the same as that on any other, and for the traffic in any hour of the day to be so adjusted that no extreme peak loads occur. The simple addition to the calendar of numbering the days can smooth out the most offensive of the irregularities. A balanced load calendar is based on the day and the year. The year consists of 365.2422 mean solar days numbering these days consecutively, starting on the vernal equinox from 1 to 364 days, plus 1 zero day (2 zero days for leap years). The work period could run for 4 consecutive days for each individual, followed by 3 days off. Not taking into consideration the vacation period, every day is a day off for three-sevenths of the working population. Shown diagrammatically for 16 consecutive days chosen arbitrarily during the year. The working population is divided into 7 groups, each of which has a different sequence of working days and of days off. The working days of each group are indicated by the circular spaces and the days off by the blank squares. On a basis of 660 annual work-hours and 4-hour daily shifts we arrive at 165 working days, or 41 as the nearest whole number of periods of working days and days off-a total of 287 days. There remain, then, 78 successive days as a yearly vacation period for each individual. Within each group there will be different shifts, the number of shifts depending upon the number of hours worked per day by each individual. If, for instance, the working day were 8 hours, there would be three 8-hour shifts. If the working day were 6 hours, there would be 4 shifts of 6 hours each, and if the working day were 4 hours, there would be 6 shifts of 4 hours each. There will be a transitional period involving large-scale reconstruction during which a longer working day of 6 or possibly 8 hours will be retained. Once this period is over, however, there is little doubt but that the working day can be cut to 4 hours. In the matter of shifts, however, this is not quite the case, so that in order to make them equal it will probably be found necessary to rotate each individual in such a manner that he works an equal amount of time on each shift during the course of the year. The effect of this calendar on the load factors of the industrial mechanism would be tremendous. It means that almost the same amount of activity would be going on every hour of the 24. The traffic would be about the same every day and every hour of the day. Each day would be a working day for four sevenths of the working population, and a day off for the remaining three-sevenths. Consequently, centers of recreation would not be deserted, as they now are during week days and then jammed beyond capacity the remainder of the time. Instead, ample recreation facilities could be provided so that at no time would the playgrounds, swimming beaches, parks, theaters, or other places of recreation be overcrowded. Consider also what this means to the central power system. In this case’ there is a daily cycle of lightness and darkness which is unavoidable. This results in a big load being thrown on the power plants at night due to the necessity of lighting. A large part of this load, of course, goes off during the day. If lighting were the only function of a central power system, such oscillation would remain. However, a large part of the function of a central power system is to provide the motive power for industrial equipment. Certain industrial equipment may be intermittent in its operation, slow freight haulage for example. Now if these are so arranged that they go into operation during the off-peak load of the power plant, this will enhance the load of the power' plant to almost 100%. How positions would be filled. Positions are filled based on the proven method of nomination from below and appointment from above. For example, if a position were vacated for whatever reason, then the people immediately below that position would nominate candidates from among their ranks for the position. Then, the managers from the rank above the position would choose from those candidates the person most qualified for the job. This is the method that is most often used in the technical portions of present organizations, and is based on competence. Competence of the person is determined by the consistent operation of the technology involved. If such machinery should fail to operate within acceptable parameters, then the person responsible would be quickly removed and replaced with someone who could perform the job adequately. A short comment on who will do the so called 'dirty jobs' Firstly our Technates work base would be 200 million plus workers it is quite likely that what some people consider to be a 'dirty job' someone can be found that will think it is an acceptable task. A person who has worked alone for 8 or more hours per day on a less than pleasant job for a poor wage is quick to say, "No one would ever do this if they had a choice." But just suppose the shift was only 4 hours or 2 hours. Suppose there were several others to help and no shortage of tools or equipment. Robots can do much of the really horrid work that cannot be eliminated. Examine these `dirty jobs' you will see that they are often the result of someone else taking `shortcuts' in a prior stage of the project. Which there will be no need for when the profit motive is no more. Lastly have you never seen a hero, who steps forward pushing all the wimps out of the way, to do what no one else will? Yes if having access to any service and all consumable goods is the reward there would be very few shirkers.